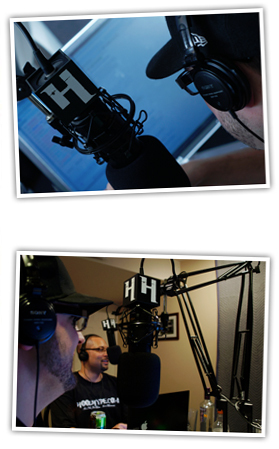 HoodHype.com is a podcast / show dedicated to spreading the word about underground and independent Hip-Hop.The show reaches listeners around the world through our podcast via iTunes and LIVE through our website. We also syndicate the show through various other mediums bringing new music to listeners through our website, official HoodHype apps, gaming consoles (XBOX, PS3, PSP, etc), Set top boxes, and much much more! Unlike any other television or radio broadcast, we feature some of the hottest underground music as well as interviews with some of the biggest names in the industry. HoodHype is constantly evolving to become a spot where you can always find the hottest independent music on the internet and have a good time with us too. Don't get the name twisted, we hype the music from YOUR hood, whether it's Stockholm, Sweden or Detroit, Michigan, it's what we do.